What is this resource about? 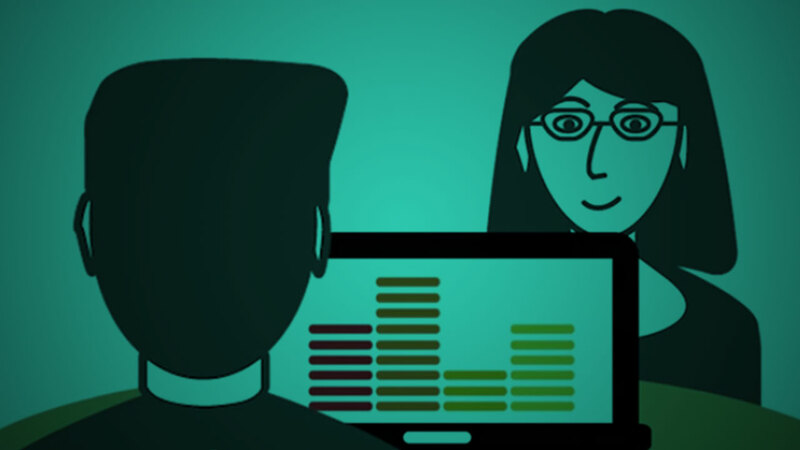 This resource discusses the ways in which audio can be used as an engaging instructional tool and addresses guidelines for making audio accessible. The Example provides an idea for incorporating audio in an educational setting. Resources provides external links for sources of educational podcasts. Why is this important for higher education? Audio files are becoming more widely used in higher education, particularly for online courses. Whether selecting or creating audio files, there are a number of things to take into consideration. Provide multiple means of engagement: Audio-based materials, such as podcasts, music, speeches, etc., can capture students’ interests and spark rich discussions. Provide multiple means of action and expression: Offer options for students to express their knowledge, such as podcasts, to mitigate communication barriers. Provide multiple means of representation: Audio-based materials can offer students an alternative way of receiving content. For example, a student may use an audiobook version of a text or listen to text-to-speech as she reads a journal article. Audio-based materials can also be the primary medium for content. For example, a student may use bioacoustics to explore an ecosystem's biodiversity. Mr. Carreno is a lecturer in the department of business administration at a local community college. He is teaching an upcoming course that focuses on the impact of social, cultural, technological forces on business organization. He has compiled a number of interesting podcasts that he plans on using to introduce topics and prompt classroom discussion. For example, he chooses this podcast from Marketplace where host Kai Ryssdal interviews Jack Dorsey, CEO of Square and co-founder of Twitter. In advance of the semester, he ensures that all podcasts have accompanying transcripts, and he creates transcripts for the few that do not have one available. Although there are lots of options for creating transcripts, both in-house and through outside services, he decides to make them himself using a free web application called oTranscribe. He uploads the audio files to his course website and makes sure that the transcripts are posted alongside them. Mr. Carreno outlines the learning goals and prompts for discussion to give context to each podcast link. Visit the website of Steven D. Krause from Eastern Michigan University to see how he uses podcasts and other audio files in his online writing course. Offering audio production as a way for students to demonstrate knowledge can lead to creative and insightful outcomes. It's possible that many students feel capable of producing audio. However, there might also be a variety of learners for whom this form of media would not be the best demonstration of their knowledge. As the UDL principles suggest, consider using multimedia as an option for students to demonstrate knowledge, but offer other means to avoid inadvertently privileging, excluding, or disengaging learners. When possible, teach principles of good audio production, including how considerations of content and target audience shape the structure and delivery of the content. Audio should be of high quality sound and allow for volume adjustment, playback speed variation, and pausing. When recording audio, ensure a moderate, consistent pace and include pauses that make the audio more understandable. Audio clips should be relatively short in duration or divided into short chapters or sections. Provide alternate ways to convey audio content, such as offering a transcript, image or graphic with description. If the goal of instruction is music-related, provide alternatives through tactile and/or visual means if possible. You may also consider adding access to the musical notation or sheet music as an alternative. If providing a download link for the audio file, make sure it is in a format that is compatible across devices (e.g. MP3 or MP4). When appropriate, provide background information for audio clips to help students understand their significance and situate audio clips in a meaningful context.